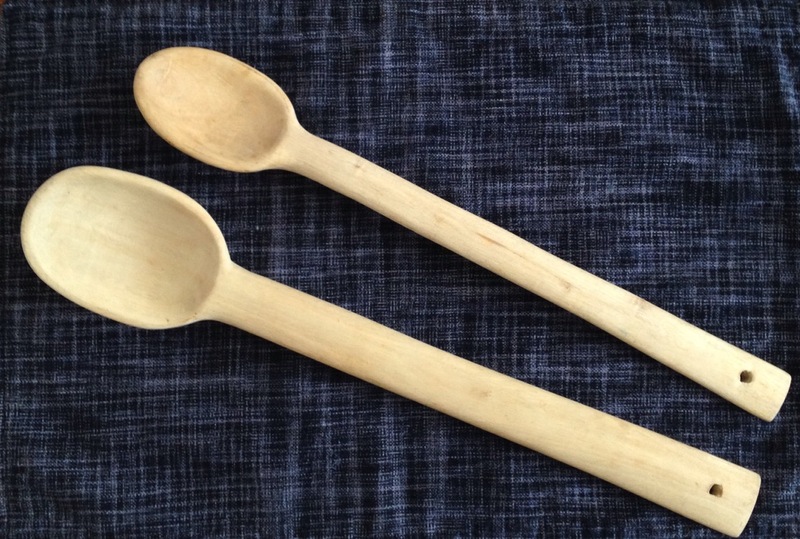 A while back I became interested in carving, particularly carving wooden spoons. It seems like such a simple every day item and I can’t explain my fascination with it. I think it has something to do with almost getting into a meditative state while I do it. This video was part of my inspiration. I am always amazed by anyone who can do exactly what brings them joy, and make a living from it. 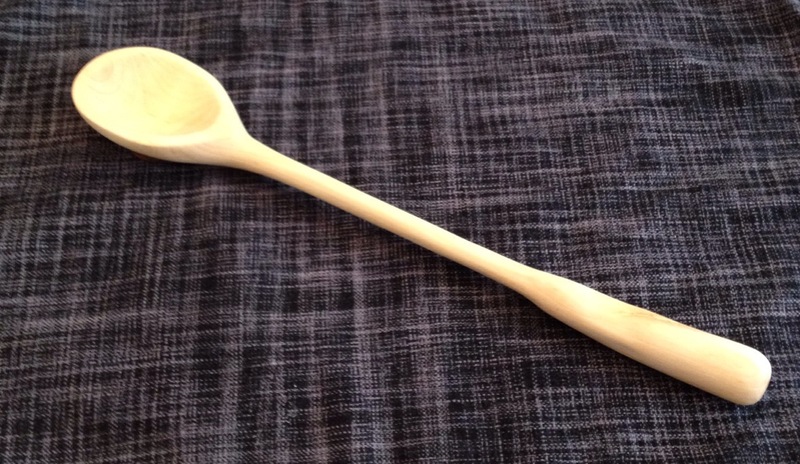 The first spoon I carved was very small, probably 3 inches long. It eventually turned into a Christmas ornament. Our tree is filled with similarly quirky things which aren’t necessarily intended to be Christmas ornaments but are very special to us. This mini-sized spoon, and the first full-size spoon I created, we’re both made from a big old lilac tree in our back garden which had partially fallen down during a windstorm. The wood still maintains a wonderful scent. 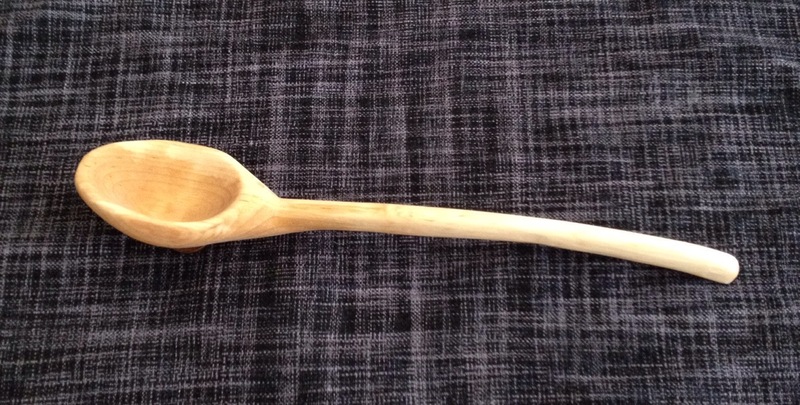 My second spoon was made from Birch. After discovering this fascination with wooden spoons, Becky’s mother happened to mention that she had a couple wooden spoons made by her uncle in Greece. Both are made from Olive wood. Those spoons are over 20 years old. The strokes of his carving knife are still visible. In recent years I have grown fascinated by things that have been made by the hands of other people. Their energy and love is put into each item. I think people who make things with their hands will understand what I mean. It’s probably what attracted me to Pinewood Forge where I bought my first carving knife. It’s a mom and pop business making high quality carving tools. Del Stubbs and his wife Mary operate the business from their home in Minnesota. 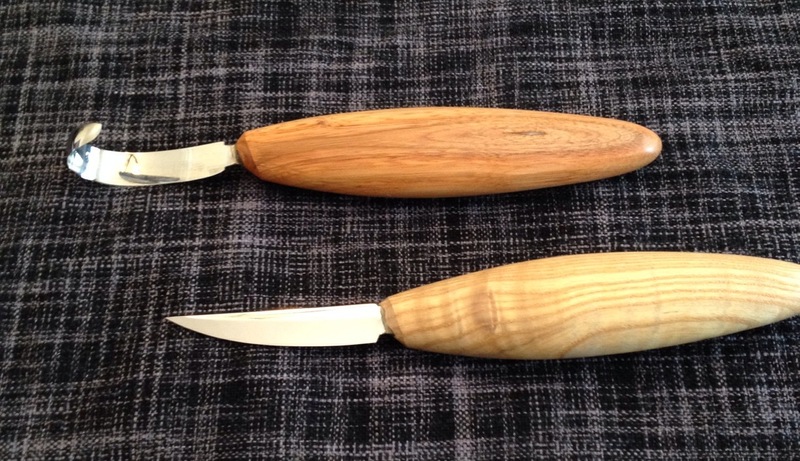 His carving knives are in such demand that there is often a six to eight week waiting period. Definitely worth the wait. Posted on January 30, 2015, in Homesteading, Homesteading In The City and tagged carving, carving tools, Crafts, handmade, hobby, wooden spoons. Bookmark the permalink. 2 Comments.